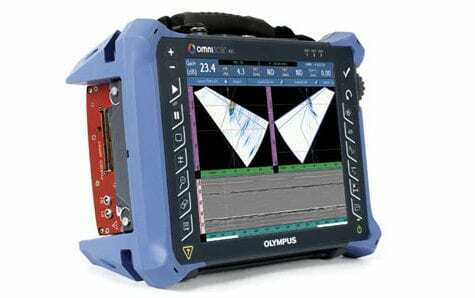 The Olympus Epoch 4 is an advanced ultrasonic flaw detector that has set the industry standard in measurement detection. This rugged and lightweight flaw detector offers a variety of measurement capabilities to handle the most demanding inspection applications. The robust signal processor provides accurate measurement of thinner materials, and class-leading material penetration, as well as improved signal to noise ratios for thicker materials. With a high-resolution LED screen and direct access keypad, the Epoch 4 has a wide range of software options to solve many of today’s inspection problems. Get the job done fast with all critical parameter settings available for easy one-handed operation. Our color-coded keypad and customizable function keys give the operator full control over the inspection tool. 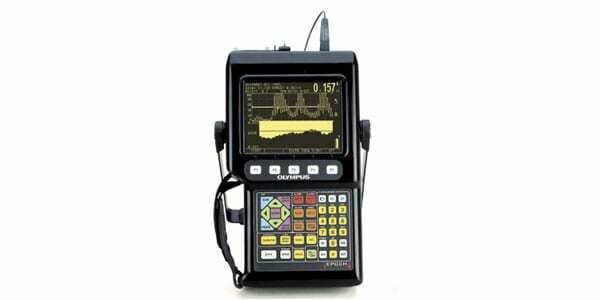 The Olympus Epoch 4 flaw detector also includes a comprehensive, large-capacity data logger that lets you store and organize all your test data while in the field. Connect with our GageView Pro application to review and edit all your inspection data. The optional Encoded B-Scan can be connected to the Olympus Epoch 4 ultrasonic flaw detector to capture and display the scanned thickness measurements along the distance of internally corroded pipe or tank walls. This powerful, time-saving option allows users to select between bidirectional and unidirectional modes, and can store up to 10,000 thickness readings.